The graphics are excellent for the SNES, the sprites are very well done, and the hand drawn backgrounds are some of the best I’ve seen on the system. The game makes great use of Mode 7, which is a huge favorite of mine. Oh, and the soundtrack is just amazingly well done. 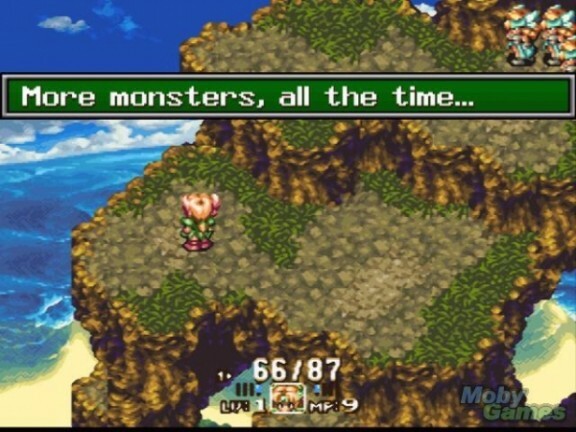 The backgrounds in Secret of Mana 2 look amazing. The reproduction itself is excellent. 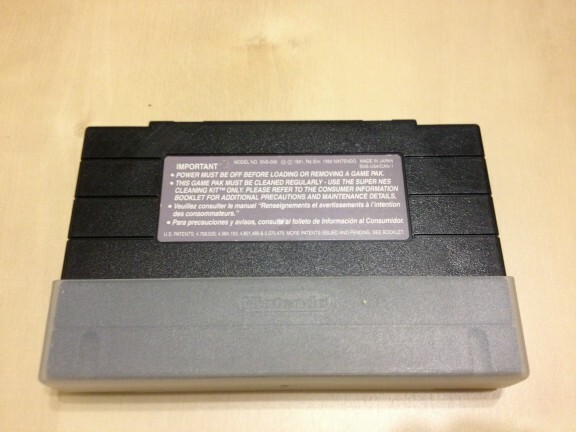 The case seems to be either a) a donor cart (a cartridge from another game that has had it’s label removed, usually from readily available games that are unwanted, such as sports games) that was painted black or b) it’s a Killer Instinct donor cart (which is black). The label seems to be of good quality, and looks very nice. The case is also held together with the normal SNES security bits. 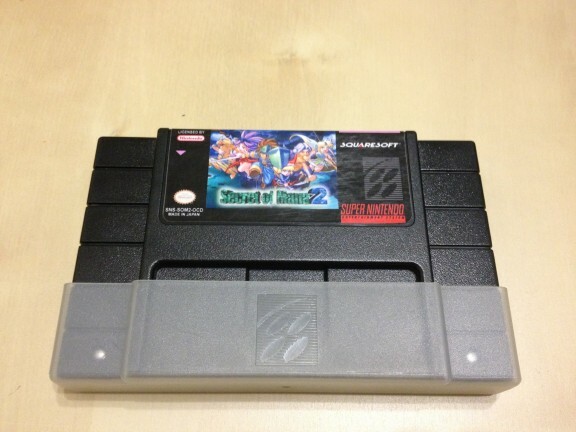 It also came with a standard SNES dustcover. Overall, a much nicer repo then Treasure of the Rudras. The front of the Secret of Mana 2 cartridge. 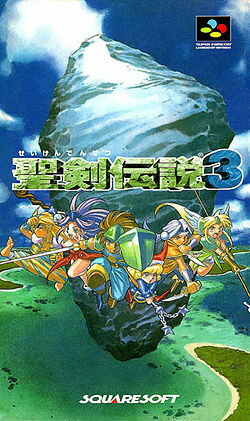 The back of the Secret of Mana 2 cartridge. 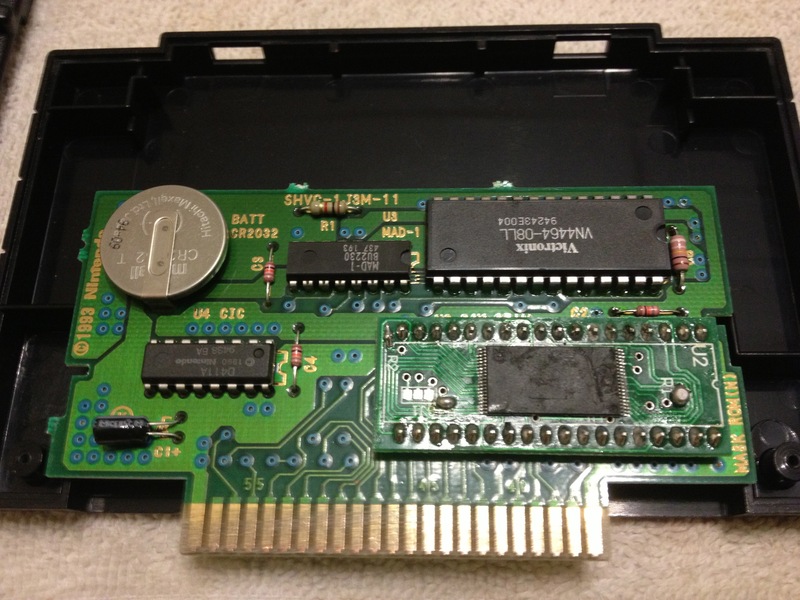 A shot of the Secret of Mana 2 board.